Distinctive woods, elegant fabrics, powerfully expressive natural stone – wherever you look, all is harmony. A harmony so deep you can even feel it with your hands and feet. Total area: 4400m² over three floors. Ground floor: KLAFS sauna landscape over 400m²: steam bath, brine cabin, ice fountain, SANARIUM®, Finnish sauna, outdoor area with kelo wood sauna, Kneipp circuit and whirlpool. 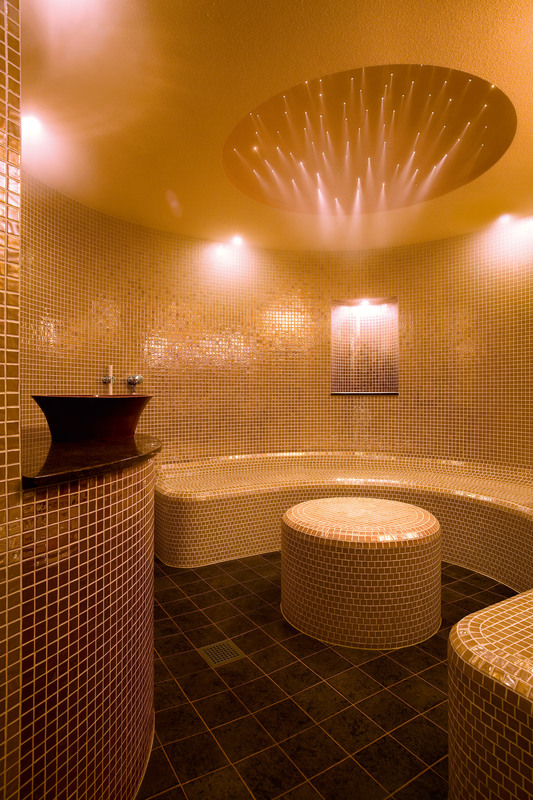 Ladies’ only sauna: SANARIUM®, steam bath, showers. 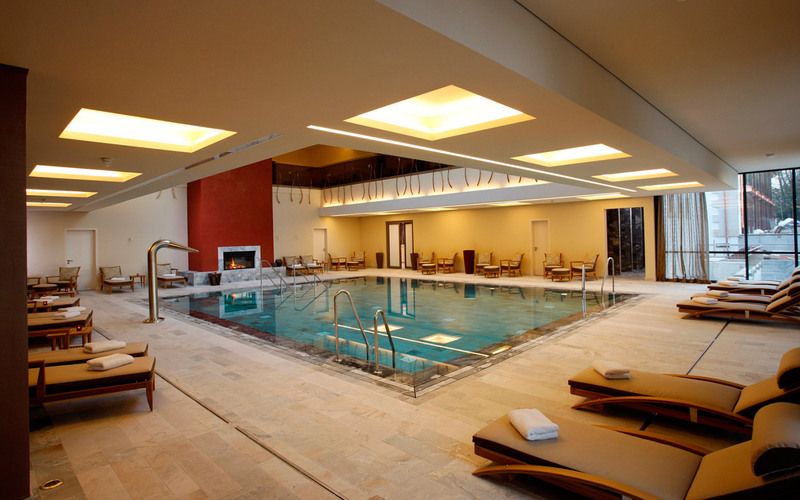 Swimsuit area: indoor pool, outdoor pool with sunbathing area, spa bistro, spa restaurant. Upper storey: 13 treatment rooms, mud bath. 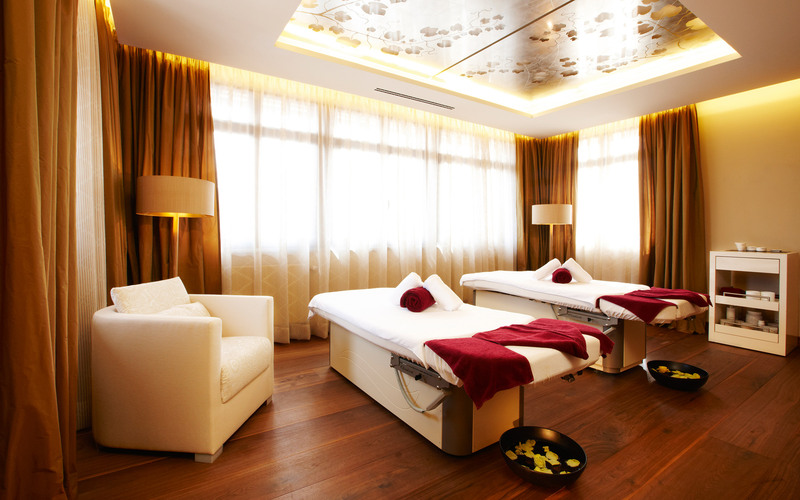 Friedrichsruhe Spa Suite, 80m²: SANOSPA DUO, treatment area, SANARIUM®, lounge with fireplace. 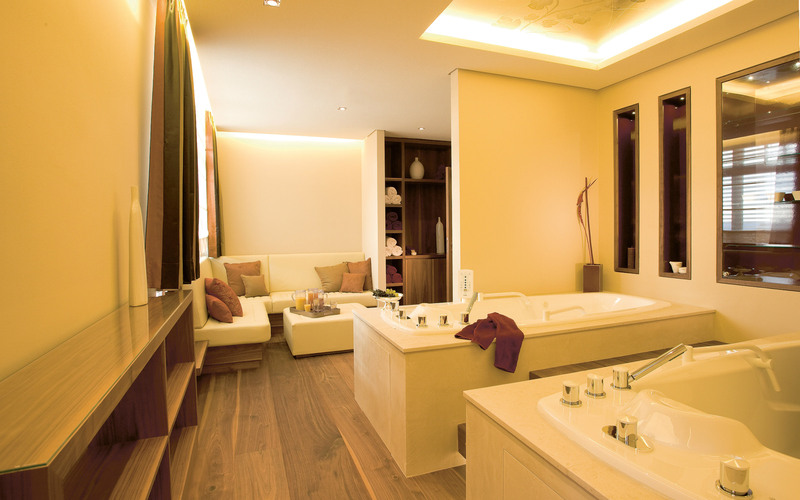 SanVino Suite for couples: two treatment beds and SANOSPA massage baths. 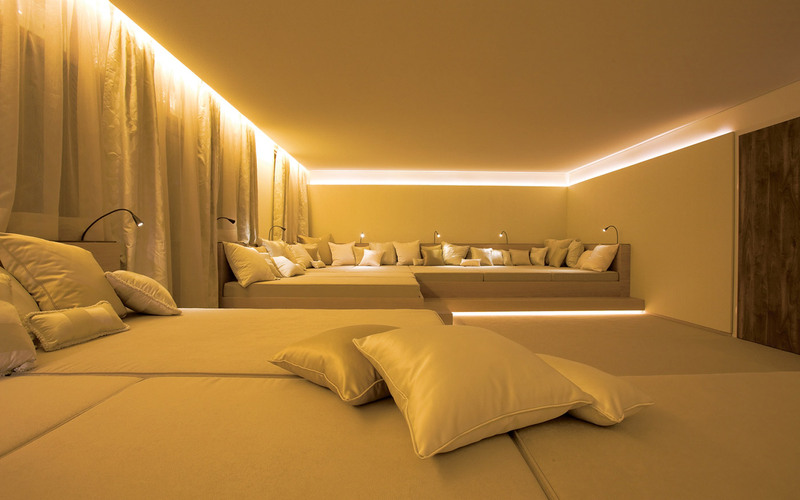 Relaxation rooms. Gym. 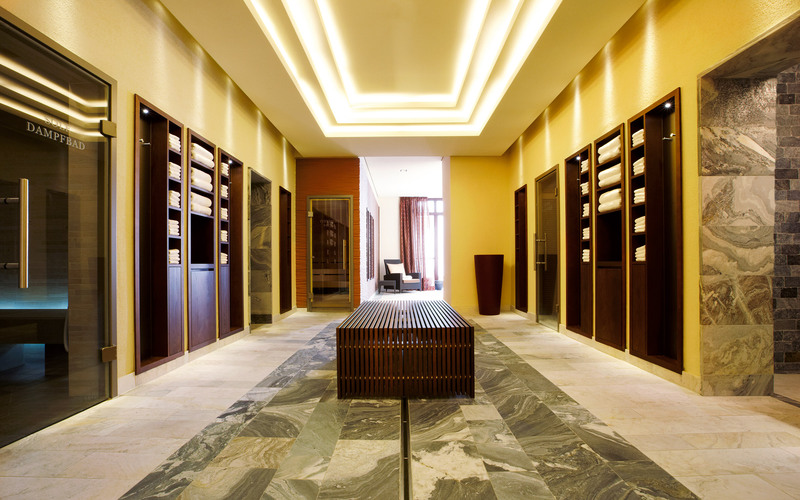 Attic: Two hotel spa suites with sauna and steam bath. 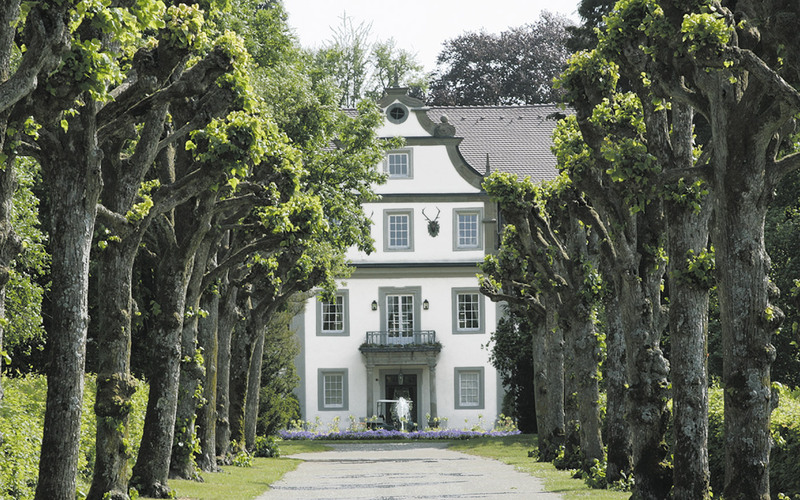 Warm, homely and wonderfully close to nature – the spa in Wald & Schlosshotel Friedrichsruhe exudes sensuality and holism. The design is modern yet unostentatious; furnishings are made from bespoke walnut wood, and choice fabrics create a bright and vibrant atmosphere. 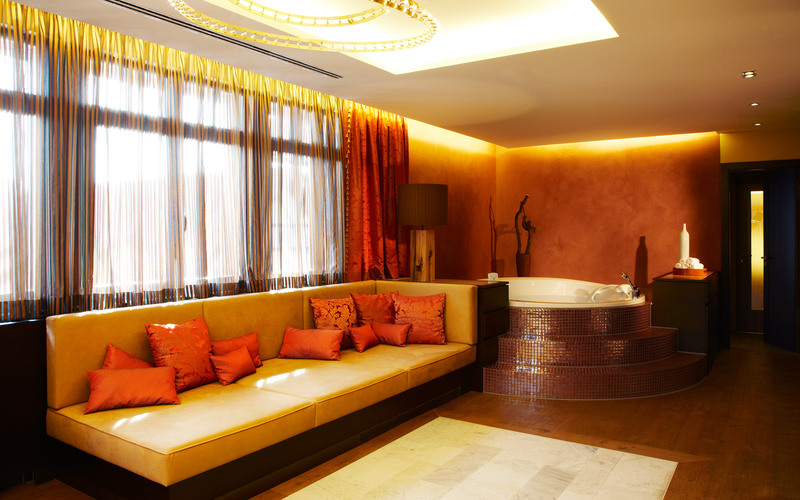 The Friedrichsruhe spa suite, with touches in African rosewood, has a rather more masculine aura, whilst the SanVino suite is perfect for relaxing with a loved one.